Over the years, the Kentucky Derby has rightfully earned the reputation as one of the most fashionable outings there is. 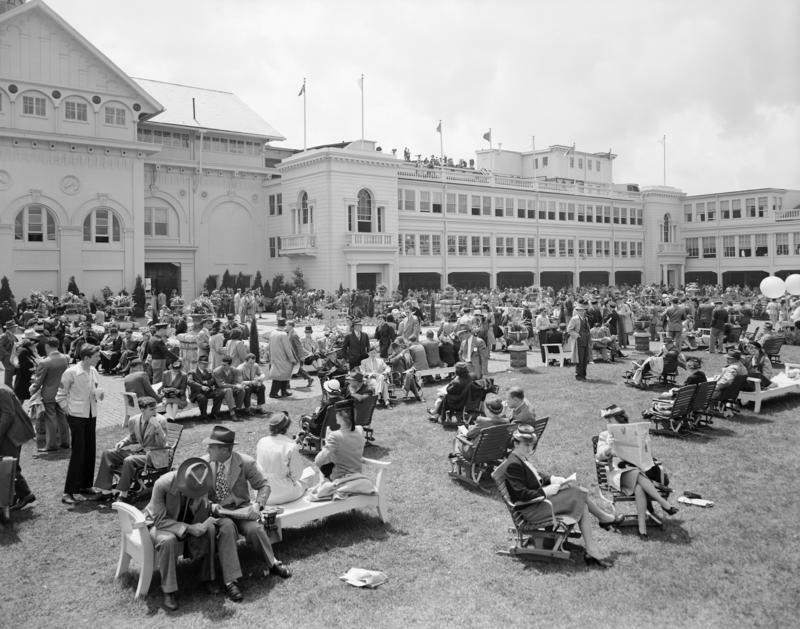 Since its inception in 1875, it has hosted the cream of the crop of high society and the more intrepid well-dressed, who each year show off their lively garb to photographers and the public. There really isn’t anything else like it. You may be lucky enough to attend the Derby, or you may be attending a Kentucky Derby themed party. You may even simply be looking for everyday inspiration from this event. Regardless of your situation, we can help! 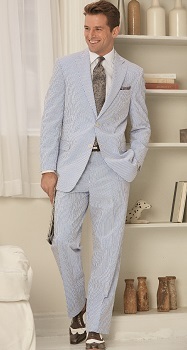 The classic Kentucky Derby attire would have to be a seersucker suit. Perfectly weighted for the warm Southern weather, seersucker is superbly functional as well as patently stylish. This season we offer seersucker in three-piece suit separates in blue and brown. Select a dress shirt, tie, and pocket square to complete your look! Since the tradition is pastels and bright seasonal colors, you have more freedom in the tones you choose for these complements, though you should still follow the basic rules of matching. For extra style points, pair your seersucker suit with spectator shoes and a straw hat. You’ll appear right at home among the Derby’s beau monde. We do realize that seersucker is not a look that appeals to everyone, so here’s an alternative idea. 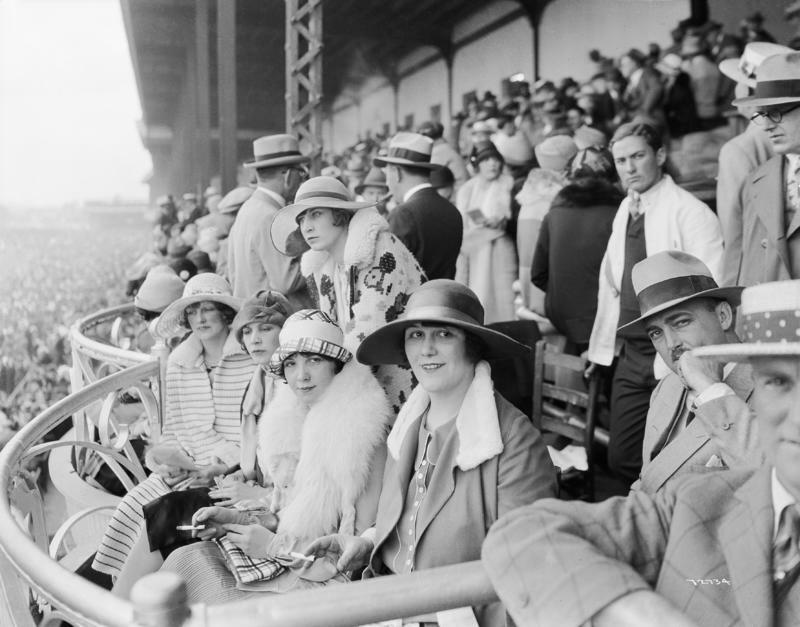 The Derby is still a relatively formal event, so you’ll need to wear at least a sport coat if not a full suit. More conservative dressers might prefer a navy sport coat and crisp tan pants – make it worthy of the occasion with a flashy tie and a pocket square. If you’re feeling bold, however, this is absolutely the time to embrace color. As we mentioned above, pastels are very popular in both male and female Derby dress codes, and coordinating these more subdued hues makes for a reduced chance of them clashing horribly. Some Derby attendees go overboard and attempt to wear as many colors as possible. Of course, we do not recommend this tactic, but we can certainly appreciate the generous use of color in one’s outfit. To keep the combination tasteful, utilize white strategically; wear a white dress shirt and colorful sport coat and pants, or you can even wear an ultra-spiffy white suit and complement it with a fun dress shirt and splashy accessories. The best news of all is that everyone else at the Kentucky Derby will be experimenting with their style, too, so you really can’t go wrong!